"People may move here from another state with their pet piranha only to find out their possession is illegal in Florida. Other times, someone might have purchased one illegally. 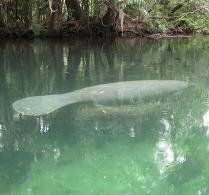 For whatever reason - maybe they're moving or just don't want them anymore," [Paul Shafland, exotic fish biologist with the FWC] said. "Then they think the best thing to do is to release them in a nearby pond, but they couldn't be more wrong. In fact, that's the very worst thing they could do. Piranha in a freshwater pond could feed on native freshwater species, such as bream and largemouth bass." Possession of piranha in Florida is punishable by a maximum $1,000 fine and a year in jail. Releasing any prohibited species, such as piranha, into the wild in Florida is a first-degree misdemeanor, also punishable by a $1,000 fine and a year in jail. In fact, releasing any nonnative species into the wild is a crime. Anyone who has a piranha or knows someone who does should call the local FWC regional office and turn it in, without fear of repercussions. Otherwise the piranha owner runs the risk of being caught and punished. If you suspect a wildlife law violation, report it to the Wildlife Alert Hotline at 888-404 FWCC (3922). If your information results in an arrest, you may be eligible for a reward of up to $1,000. To learn more about the FWC's Wildlife Alert program or to report a violation online, visit MyFWC.com/Violation. This is dumb because it was a mistake of just a few people, I think they should make t legal, as long as you have a permit or you got it captive bread.